I'm not sure that was his point. I saw it more as a response that Square Enix and Capcom havnt litterally completely forgotten about the Vita. I suspect Sony had a say in that happening. It's clear SE announced FFX long before it should've been announced, likely due to SCE pressuring them. Square Enix has nothing else for the platform after that. Since launch they've only released a port of a free to play phone game which given what Kawano stated earlier in the year, could've also been something Sony encouraged. With Capcom they have a free to play phone game port in Dragon's Dogma Quest, which again may have been something SCE encouraged to happen. MHF G might be legitimate support, but it's laughable at best given the context of that game's situation and what people would expect from Monster Hunter on Vita. That series died with Crystal Barrier. 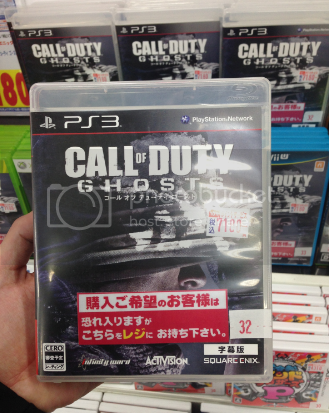 God, they just botched that game from release schedule to the actual design of the game. What I don't understand is all of the negativity on the Vita? Whether it's distant second or not, the Vita is a fairly healthy platform for 3rd party Devs (Tokiden is a great indicator). 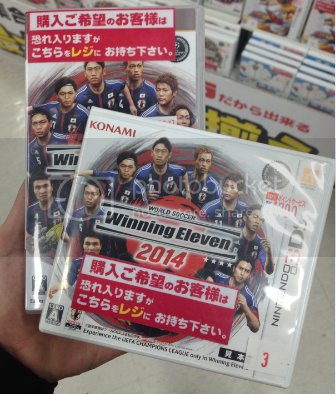 Even if the Vita is doing well, which it is in Japan, the same old posters goes right ahead and move the goal post. Keep moving that ish across the field, it won't change the fact that it will get support from 3rd party. And speaking of 3rd party, unless you're a big/existing IP or Nintendo, you're not selling much more on the 3DS as well. Judging by the historical top 50 games in Japan, the only thing that sales well in Japan is Nintendo's IP (handheld-wise) and that changed later with the PSP and it's diverse user-base. Take a look at the media-create for the year. There were 3rd party games that didn't sell well given the install-base, hell even overlooking the install-base it wasn't much more than what you would get on the Vita. But the Vita's is in a dire situation tho... Bottom-line, the Vita gets 3rd party support and will continue to do so for the simple fact that it doesn't have to compete with Nintendo directly. Again, how does the Vita get in the hot seat for doing so poorly when there are other gaming devices doing several times worse than it, and yet members complete overlook them? What needs to be discussed is how badly the WII U is doing. Piss poor 3RD support, decreasing sale with no turn around in sight, and there's not even support from Nintendo as well. Where are the games? Who are they marketing to? Well I guess families but the world has changed from the times of N64 and the WII. It's really dire and if they don't shape up, it doesn't matter how much money they have, they'll will be destined for failure. The game was so bad no one even remembers the actual name! Man Vita is doing great, lets hope it starts getting bigger titles. The wii U doesn't deserve the attention, people should be talking about the 360. 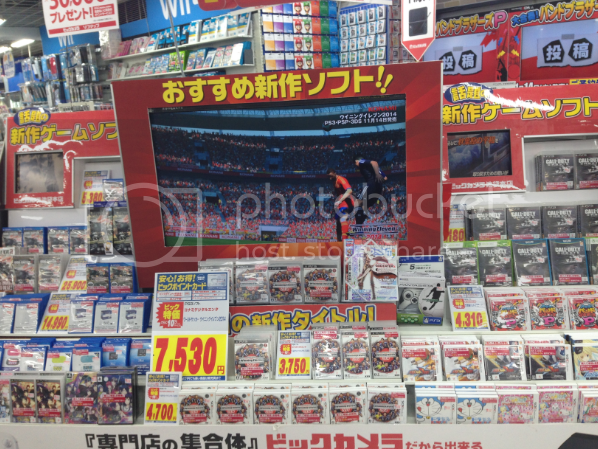 Look how badly that console is doing in Japan! The fact that there is another product doing even worse than you are doesn't automatically make yours a success. You also seem to be implying that people aren't talking about the wii U's failure. I mean have you been hiding under a rock? There has been plenty of discussion about just how much of a failure the wii U is. It's blown away even the most pessimistic predictions out of the water. This very thread is filled with discussion about the wii U. Look at the threads like the pacther prediction one. Everyone knows the wii U is a failure and looking at the horizon there is nothing that will change that. It's hard to really say much more about it. 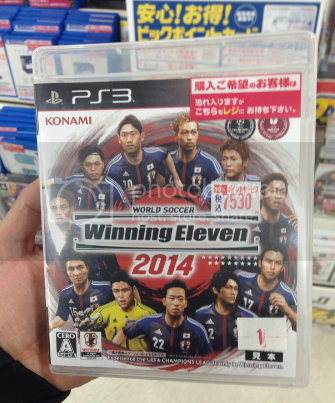 You talk about moving goal posts but that is the only possible explanation to call the vita a success right now. A success relative to the absolute dismal failure that people were wondering how it could even be left on shelves? Sure. The vita however is still overall doing pretty damn poorly and getting a small amount of 3rd party support doesn't change that. people should be talking about the 360. 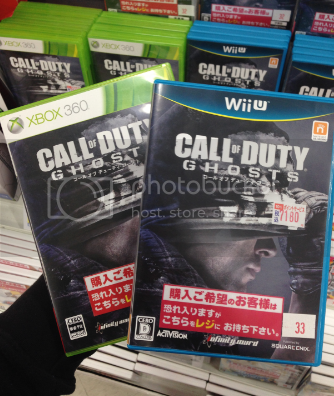 Look how badly that console is doing in Japan! Why? Thing was ded the moment it hit Japanese shores. What needs to be discussed is how badly the WII U is doing. Did you stop reading my post at the end of that sentence? So you ignored all the other posts? Lol, but please go on, live in a delusional world where the Vita is selling great. I don't think anyone is saying the vita is selling great in general, it's just selling great compared to where it was last year. Does anyone have Vita vs Gamecube tracking? I know at one point the Vita was behind the dreamcast, but how's it doing now? I never stated the Vita is being supported by Capcom and Square-Enix "Well" but what I am arguing is that they are interested in the Vita. And I'm saying they're not, at all, and you're not focusing on the reality of the situation. Here's the reality: Square-Enix announced the two ports long before the Vita succumbed into failure territory, and are likely still releasing it to stay in the good graces of Sony and because it's likely extremely cheap to do so. Capcom's port of Monster Hunter Frontier shouldn't be taken as anything more than proof that Capcom is willing to dump that turd on any system that can handle it. Monster Hunter Frontier is being put on everything that can handle it and that won't hurt their other titles: PS3, Wii U and Vita. They're saving the real Monster Hunter for 3DS, since that's selling quite well. I was going back to the older media create threads and realized that until Christmas 2011, the Wii was actually fairly well supported by third parties in Japan. Sure Nintendo themselves barely released anything after Skyward Sword (which unfortunately did terribly there), but it was still selling ok. It was the beginning of 2012 where everything (but Taiko) dried up and the Wii stopped selling. At least in Japan, had the Wii U had more games coming to it, I could have seen what Nintendo was thinking with the console. I think its sales are quite good at this point. It's just that the 3DS is running away with that market, so other things seem further back by comparison. Since when did the bar get so low in Japan that Vita's sales are considered good.... Vita 2012 and Wii U's 2013 has certainly colored people's perceptions of what good is. 500k shipped is huge already. I knew the game would be big, but I'm curious about sellthrough data as close to 500k FW would be absolutely massive. GE sold 276k and GE Burst 267k. People have accepted that it likely won't hit the highs of the PSP so are now looking at its sales in a different context. Well, while true that Nintendo is running out of playing cards, Vita sales aren't going to improve just because of that. The same could be argued for the Vita anyway. 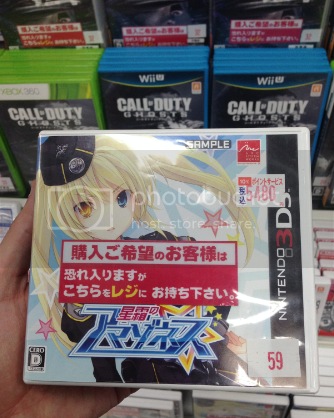 What next after Freedom Wars? i am wondering what the split will be between Vita and psp. for VitaTV. do we expect to see pictures of lines at stores being posted ? Definitely the Vita version will win. 500k shipment first week is big. You need to rewind to when the Vita was announced and people said it was going to blow the 3DS away. Suddenly from that we now have a system which isnt anywhere close to its competitor and in any given week has only outsold the 3DS like 3 times since release yet that has now turned into Vita is doing great. Say the 3DS sales were 50% of what they are now but it was still the #1 selling system would people be saying 3DS is doing great? The 3DS would be getting flamed and rightly so. The one place on earth where handhelds should sell well is Japan. If 20k  30k a week is great then yes the bar has been decreased dramatically. The Wii U selling poorly are irrelevant to the sales performance of the Vita. 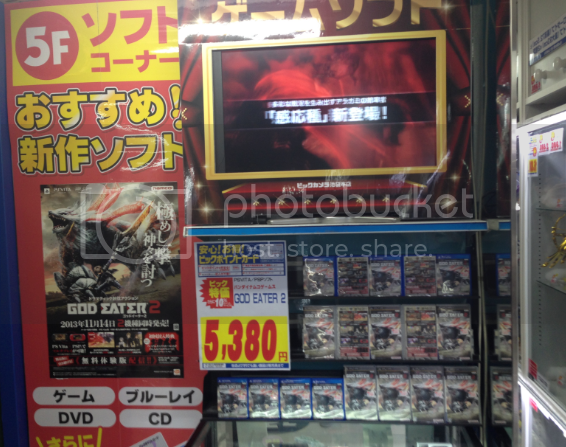 Any pics of full/empty lines for God Eater 2 and Vita TV? It's not doing well in Japan. It's selling on par with the Gamecube. Yes, why is no-one discussing this in here like ever? The Vita isn't selling well. It's not even pulling mediocre sales. It's selling terribly. Thing is, most people counted it out long ago and there was much talk of discontinuation. There was a time when a run of 20k+ weeks was a pipe dream. Next week might be the biggest the Vita has ever seen and it comes at a time when the 3DS is still riding high from the MonHun / Pokemon launches. The fact that it's still standing in the ring blindly throwing weak punches (like a Champion) is the source of any positivity. It ain't that it's particularly alive, it's more that it's not dead. It's the plucky underdog that just won't go down. Good GE2 sales, Vita should get a nice bump. You know, seeing those rankings, i've perceived something. Wiiu and Wii software sales are pretty much alike (with the exception of new titles on the wiiu), but DQX is almost always on the Wiiu one and not on the Wii. DQX is consistently the best selling now release game on the eshop also. Maybe the people that bought on the Wii are, slowly, upgrading? Anyway, we will see if that turns to be true in december when the expansion gets on retail. It's the same effect that leads to the "beast mode" comments about 3DS sales in the NPD threads. 230k is not anything like what the DS or even PSP used to do, but in the absence of a top selling console people's perceptions have changed. In hoping GE hits 400k on the Vita side. I know I'm optimistic but I really want 3rd part developers to feel the Vita is good for mid sizes games. Oh I remember those talks, it was supposed to be discontinued by now. Good thing Sony are treating it as a Champion it is. Next week is going to be huge, biggest since the launch that's for sure. Seeing PSP and Vita split will be very interesting. PSP chaps should get of their asses and that that PSP for a Vita, this is a good opportunity for them as Vita version of God Eater is better in every respect. If they are so short on money, go and pick up that cheap Vita TV, I'm sure you got a DS3 laying around somewhere. This would be HUGE but I'm not sure it's realistic target. I hope for at least 60% split in Vita's favour. (70% would be God sent...) Hopefully the sell through will be high. If the Wii U is like the GameCube of Japan and the Xbox One will most likely be like the XBOX.. does it really mean we should expect PS4 to do PS2 numbers? 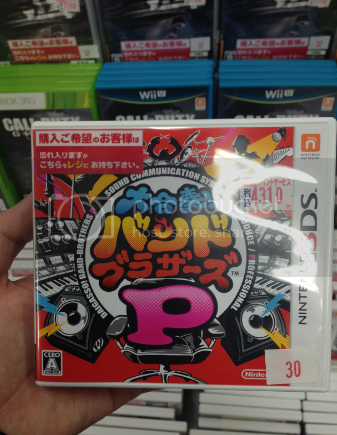 Surely it has to or the Japanese console market would be on a huge huge decline. 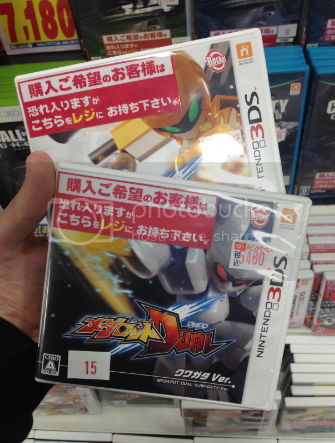 [3DS] Medarot Dual: Kabuto Ver. / Kuwagata Ver. This is clearly the new norm, now. Every week, people praise the Vita for dismal sales. I have to wonder when people will wake up and realize just how bad it's performing, and take note of the fact that Sony seems content to just let it die, or at most transition it as some kind of luxury PS4 accessory and not it's own proper game platform. You're talking like SCEA = every other SCE out there. No, I'm accepting the reality of all SCE branches. The lineup of upcoming first party titles speaks volumes about Sony's overall support for the system moving forward. I mean I'm not gonna argue those are huge franchises but have 4 or 5 first party titles in a calendar year isn't exactly cutting off support. Seems much better than what the psp got. Yeah, i think the early announcement was due to Sony indeed. I think that Square would have taken the choice regarding developement of FFX and X-2 on their own though. I agree that the support hasnt been good, but i just wanted to say that i think what was said earlier wasnt referring to that Square Enix and Capcom had shown good support for the Vita. If Sony was content on just letting the Vita die, it would be a waste of time and money to make a revision of the hardware and make the Vita TV. Doesn't mean much, but my local joint is all sold out of Vitas as of today. 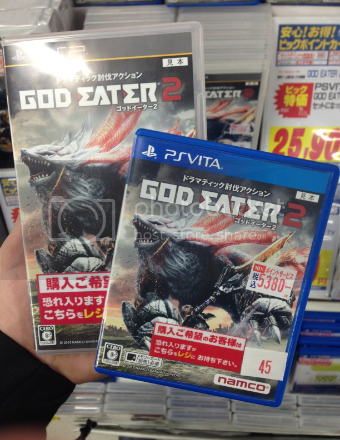 They also had a big box behind the counter filled with God Eater 2 (Vita and PSP). I asked my bros there if that was the whole shipment, and they told me that was for preorders only much to my surprise. The legendary Yodobashi link, Vita version: http://www.yodobashi.com/ec/product/stock/100000001001807369/index.html Plenty of stock after the first day, Namco did ship 500k though (including PSP). Vita TV doing really well, Yodobashi link: http://www.yodobashi.com/ec/product/stock/100000001001865418/index.html It would seem that PS3 owners are buying Vita TV, because the controller bundle is not selling nearly as well. Wait...why wouldn't it mean much? 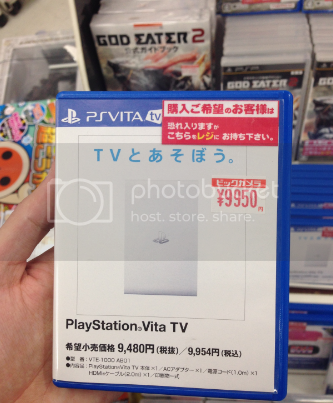 o_0 It'd mean GE2 is moving a lot of Vitas.